Whether you own a home or business, it’s important to assess the building for any mold infestations. If mold starts growing in a spot not normally occupied, it could easily go unchecked for a while. In response, you might start to notice that you, your coworkers, or family suffering from breathing problems, sinus infections, mood changes, fatigue, and more. Before calling it a cold and waiting for it to pass, you should make sure mold isn’t the cause. Basements or cellars; especially if they’ve been recently flooded. Underneath the sink in your kitchen, bathroom, or wash-up area. Leaks can often occur without your knowledge. Bathrooms where moisture easily gathers and creates an ideal growing environment for mold. Refrigerators; both under the appliance and in the water dispensers or drip trays. Under wallpaper where moisture can gather over time. Under carpet if it has gotten damp from flooding or other causes. Air conditioning vents where moisture can gather and easily spread spores. If your suspect mold, but cannot see it, we can test your building for mold infestations. If you find mold anywhere in your home or business, we can help make it go away without annoying reoccurrences. 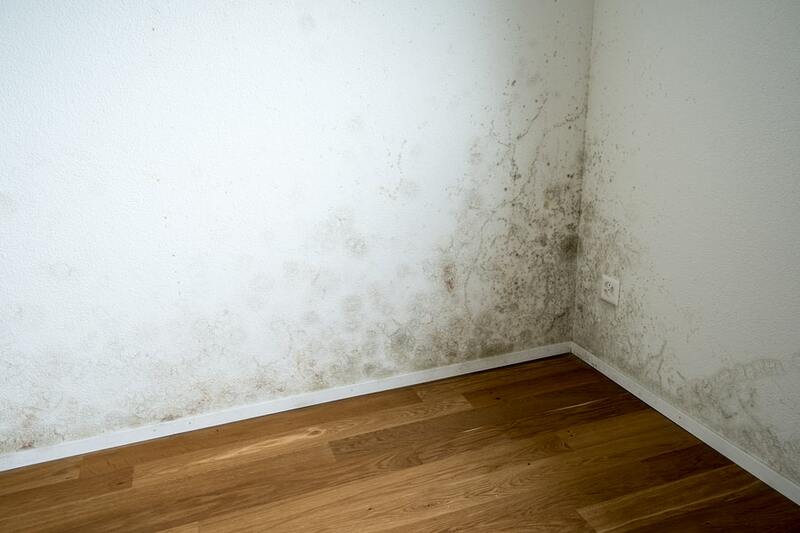 Our mold remediation process takes care of present mold and helps protect the area from future growth. If you can’t find mold but think it’s the cause of any health issues, we can test your air quality. The mold could be hiding in your air vents where you can’t see, which our technicians can examine and clean. Mold can be toxic to your health, so check-up on those high-risk areas and call a professional to remediate the problem before the spores spread.